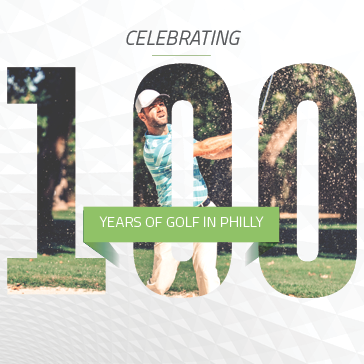 Celebrating 100 years of golf in Philly! Come out to John F Bryne or FDR for The Centennial Special. All August long you can get 18 holes with cart, a hot dog and a soda for just $25 Monday, Tuesday or Wednesday. Check back each month for a new special!